... when you heared about the game being closed? This is a thing I'd really like to know. In my case it was a pure shock! I already described the situation in my introduction. To make it short: Disbelieve, Shock, denial, grief, acceptance. Pure psychology. It was a time full of tears, but now I'm looking forward... hoping that there will be a new LoK game someday. Sad, really sad... this is the 3rd LoK game cancelled until now and it was so close to be completly released. The statement that the audience was too small is nothing but a lie! Hey. I was totally devastated at first. I remember it being a sunny day where I live. So the first thing I did was grabbing a cold beer out of my fridge and was then following the community exploding around that matter. I blame Square Enix to be honest. This was a business decision and after all those wrong turns they took it doesnt really surprise me after all. Yesterday we had our last hours of Nosgoth with some of the community. It was tons of fun but also showed us in what a miserable state they left that game to die. Drew wasn't even able to play one full round with us, because he crashed all the time. Anyway the community still is very unique and awesome. So thanks for having you all. I have a lot of great memories with Nosgoth and you guys. I remember seeing the announcement shared to FB from an LoK page I was following. When I saw the headline that said Nosgoth was getting cancelled, I couldnt believe it. I had to read Oghamsmith's post on the Nosgoth forums to be sure. I raged about it for weeks, whenever my boyfriend would bring up anything about video games in conversation, I'd launch into full half-hour rants about how shutting down Nosgoth was a bad idea. I blamed Squeenix, blamed Psyonix, pretty much everyone because I was so angry and in denial. "Not my laggy vampire game!" I would yell and whine and complain. Then came sad acceptance, the whole stages of grief thing. There was a petition, but not enough people to do anything. I loved that laggy vampire game so much, I didn't mind that my connection to the server consistently gave me 200+ lag. I once managed 3 triple kills in one match as sentinel with that kind of lag and I was damn proud of it. It's such a shame that will never happen again. 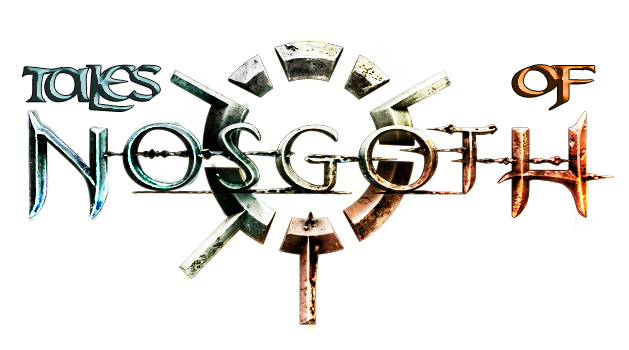 I really can't put into words what I felt/feel about the cancellation of Nosgoth, it was such a big part of my life, I truly ate, slept and breathed Nosgoth throughout my two and half years of its existence. When I found out about it at first I didn't believe it, I found out by chance when doing a random Nosgoth search on Google but then when the official announcement came I was completely devastated. I was at work at the time and broken down into tears, so devastated in fact I couldn't eat properly for about 2 weeks. I know people say "it's just a game, get over it" but as I say it truly became my life and world. I personally still can't believe it has been cancelled, it was such an awesome game, I personally agree with the above that there maybe unknown factors involved (pure conspiracy theories) which played a part in its cancellation, and I'm still pretty angry and upset about the whole thing. That said though, the game will always be with me in my memories and heart, it will live on, as it does with all the players who took part in its existence! Shock was what I experienced upon hearing the news, disbelief came next and anger quickly followed. Fear of this existed when I first joined back in closed alpha; but after we entered open beta I put that fear to rest because I felt that there was no way they would be stupid enough to throw this much time and energy down the toilet, clearly I was wrong. The BS explanation as to why didn't help matters; and I image it will be some time before someone slips up, revealing the real reason. Ten years I waited with the rest of you, waiting for a new LOK game. I'd do a random Google search every 3 to 6 months, with nothing coming up until Nosgoth happened. I wasn't thrilled at first, going from a solo game series on console to playing team pvp on pc; and the era it took place in never interested me much since it was irrelevant to Kain and Raziel's story at this point in the series. Once I got into it though, I found the game play to be the funnest I've played in a long time; and the era proved more interesting I gave it credit for, a level of story telling that could be on par with Game of Thrones if ever fully utilized. Shame it will probably never be now. I really became a gamer because of LOK; and I don't think it would be too extreme to say I will eventually stop gaming if it goes away. I totally feel you in terms of becoming a gamer (well... I wouldn't consider myself a gamer at all ) There are only a few games being interesting for me. Without LoK I wouldn't be playing computer games at all. Yeah I completely know where you're both coming from. BO was the first proper game experience. I'd only played things like Sonic, Street Fighter etc before that on my cousin’s console at like Christmas times. I got my first PC and found BO by chance a few days later and then was hooked. As for other games, I don't really play much either, and I too wouldn't consider myself a massive gamer. Now though Nosgoth has gone, I find myself at a complete loss and trying to fill the void, grasping at straws and hoping to find something to fill it but in truth I know unless there is another LoK game the void will never truly be filled…and I really can’t believe this game has got into PVP games too, I thought that would never happen! All I remember thinking was loss. I'd lost another link to that world. Like a door shut in my face. The game I could take or leave, personally I always preferred the one player experience but that's just my taste. However the world, oh the wondrous lore that Nosgoth promised us. Human insurgents rediscovering their heritage and fighting to throw off the yoke of oppression. I weep for the loss of that lore, the stories that will never be told. That's where it hits me.